Before, we discuss about the environment testing, let’s first discuss about the importance of the environment testing. Multifarious reason can be explained regarding to this query. First and foremost reason is to know “How safe is your product”. Any dangerous substance used in your product can cause gloomy impact on biotic and biotic components. Apart from it, is the life of your product? If, it meets or exceed the standard requirements, it will increase quality of your product, hence Longevity . Another important factor is durability. Environment testing gives you all the answers. IEC 60068-1,`IEC 60068-2, IEC 60028-3, IEC 60028-4, IEC 60028-2-27, IEC 60028-2-21, IEC 60028-2-78, IEC 60028-2-7, IEC 60028-3-4, IEC 60028-2-56, IEC 60028-2-56, IEC 60028-2-39, IEC 60028-2-40, IEC 60028-2-30, IEC 60028-3-1, IEC 60028-2-2, IEC 60028-2-1, IEC 60028-2-38, IEC 60028-2-14, IS 9000 part 3, IS 1248, IS 13779, IS 13031, IS 1534, IS9000 PART 5, IS 9001, IS 9000 PART xiv etc. 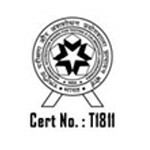 Any Electrical, electronics and process control items or product can be tested here and the reports are issued with NABL logo. Environment chamber is a machine owned by ITC with the temperature range between -40°c to 140°C and the range of humidity is 25% R.H. to 95 % R.H.
For List of standards under Environmental Testing, please click here.